I've analyzed Techeme's Leaderboard several times before (headlines vs. discussions, 'presence' vs. pageviews, etc) and thought it would be worthwhile to understand movement within the leaderboard. I compared Techmeme's Leaderboard on May 14 vs. today's current Leaderboard (July 12). 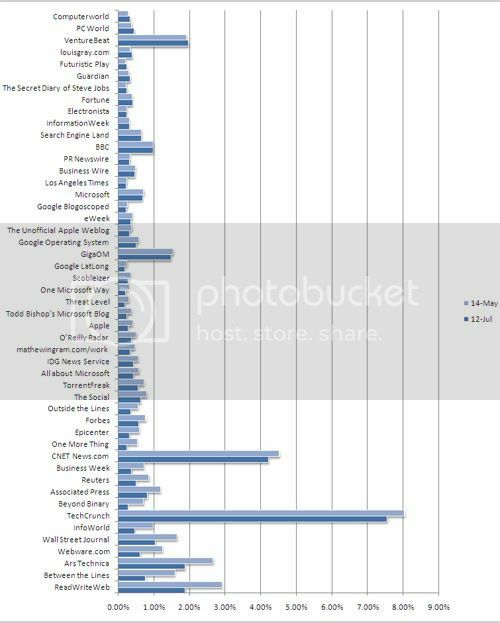 Techmeme ranks their top 100 blogs by "Presence", the percentage of headline space a source occupies over the 30-day period. The results are fascinating. First, Techmeme's head has gotten less powerful. TechCrunch represented 8.05% of Techmeme's headlines on May 14th and fell to 7.55% two months later... the 7th largest gain during that period. 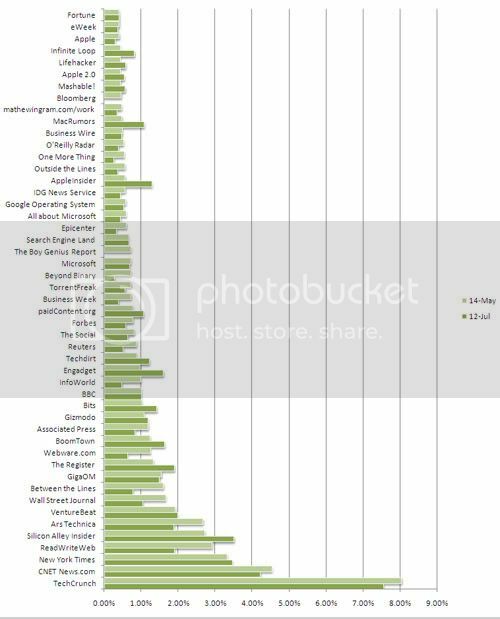 Techmeme's top 10 sources represented 31% of all headlines two months ago and now account for 29%.